This classic cure-all is making a comeback in 2019. Castor oil — the age-old folk remedy with a famously unpleasant taste — has undergone a recent makeover. Celebrity makeup artist Jami Svay recently told us it's her go-to moisturizer for hair, skin, and even lashes. A secret passed down from her grandmother, Svay uses the product as part of her own daily routine and on her clients. Even Charlize Theron is self-admittedly a fan. Castor oil comes from the plant Ricinus communis, also called the castor oil plant. The castor beans (technically seeds) get pressed into a versatile, pale-yellow vegetable oil with a very distinct flavor and smell. And while modern medicine has eclipsed its historic use as cure-all, castor oil is now a trendy budget beauty buy. Just like its popular cousin coconut oil, castor oil can provide moisturizing benefits, the experts at the Good Housekeeping Institute Beauty Lab state. "Castor oil is comprised mainly of the fatty acid ricinoleic acid," says Beauty Lab chemist Danusia Wnek. "It works as an emollient, smoothing flaky skin and making it feel softer. It can also provide a barrier on the skin and protect against moisture loss. For hair, it acts as a lubricant, coating and conditioning strands to improve smoothness and shine." What are the best benefits of castor oil? 1. Boost your brows and lashes. Applying a little castor oil daily can help nurture your eyelashes and eyebrows. The best, no-mess way to do it: "I buy empty mascara bottles on Amazon and fill them with castor oil to brush it on my lashes at night," says Svay. 2. Get shiny, healthy hair. As for her hair, Svay smoothes SheaMoisture 100% Pure Jamaican Black Castor Oil onto her ends two to three times a week to prevent breakage. Smooth out your hairstyle by using a little bit of castor oil along your hairline. After applying her moisturizer, Svay rubs castor oil on her knees, elbows, and other dry patches to layer up and seal in moisture. Svay adds that castor oil also works great on your manicure too. Use a cotton swab to dab a little on your nail beds for extra nourishment. 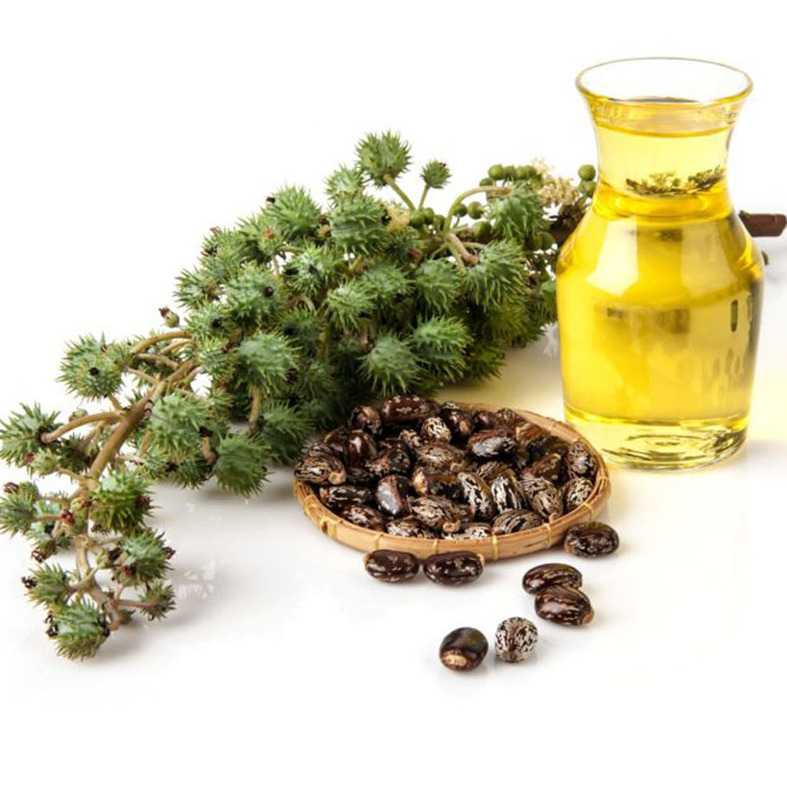 Castor oil's oldest applications have nothing to do with hair, skin, or nails. You (or your grandma) might in fact know it best as a laxative or a way to induce labor. And yep, the rinconelic acid in castor oil can help relieve occasional constipation. "It works by increasing the movement of the intestines to help stool come out," says Felice Schnoll-Sussman, M.D., a gastroenterologist at the New York-Presbyterian Hospital/Weill Cornell Medical Center. "Due to its laxative properties, it can cause diarrhea, abdominal cramps, nausea, vomiting, and electrolyte disturbances." For that reason, Dr. Schnoll-Sussman advises only individuals over the age of 12 use a dose of 15-60 mL (less than 4 tablespoons) and never consuming castor oil if pregnant, as it can induce premature labor. The stimulant laxative works quickly — within two to six hours — so don't take it right before bed. Of course there are other, less-icky ways to find relief when you're feeling backed up. Drink plenty of water (at least eight glasses per day), eat more fresh fruits and fiber-rich foods, or take a fiber supplement such as psyllium husk or Metamucil, Dr. Schnoll-Sussman says. If those don't work, try using a stool softener and other over-the-counter laxatives — you won't need a spoonful of sugar to get them down.